Naw-Rúz, 21 March, is the first day of the Bahá’í calendar year. This coming year for Bahá’ís is the number 176BE (BE stands for Bahá’í Era).Its timing coincides with the vernal equinox, when day and night are of about equal duration across the planet. This marks the first day of spring. In line with this, Naw-Rúz literally translates into “new day”.The Bahá’í calendar, also called the Badi Calendar, is a solar calendar. The first year of the calendar is AD1844, the year during which the Báb, the forerunner to Bahá’u’lláh, declared his religion, which heralded the coming of the Bahá’í Faith. Years are counted with the date notation of BE (Bahá’í Era). The calendar has19 months, each comprising 19 days. The remaining few days are called the “intercalary days” and this period is called “Ayyam-i-ha” and falls just before the final month of the Bahá’í year – the month of Loftiness (‘Alá’). During the month of Loftiness, Bahá’ís fast for 19 days. This fast is a period of abstinence from food and drink between the hours of sunrise and sunset, and a time of spiritual awakening and nourishment. 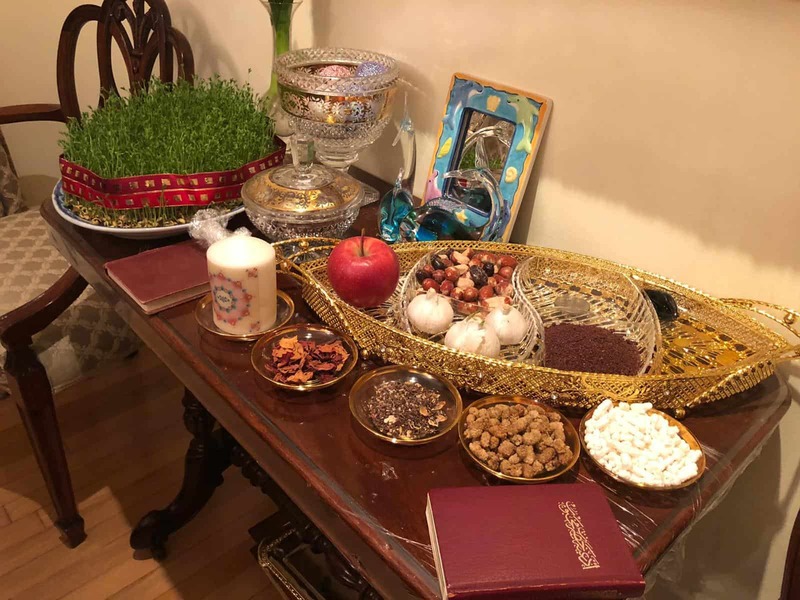 Naw-Rúz, also called Nowruz, is also celebrated across the world as Persian New Year. Countries including Iran but also minority populations, including Kurdish and Parsi people, celebrate it as a secular holiday, rather than a religious one. For Bahá’ís, alongside Zoroastrians and some Muslims across the world, it is a religious festival. Naw-Rúz is a time for celebration but also the reviving of an individual’s spiritual life, and a renewed focus on the teachings of Bahá’u’lláh, particularly given that it is at the end of the fast, which is a time of meditation and reflection for Bahá’ís. The Bahá’í faith is not associated with a particular ethnic group, and so Naw-Rúz is celebrated in a diversity of ways. There are no prescribed traditions, though a Bahá’í celebration will often include prayer, socialising, food or gifts. Music and arts are also often incorporated. The day of Naw-Rúz is also one of the nine Bahá’í Holy Days and so Bahá’ís suspend work to celebrate. Each Bahá’í community will then celebrate according to local custom. For a number of years the UK’s prime minister has issued a statement of celebration for Naw-Rúz. This is also common in Canada, where the prime minister, Justin Trudeau, has released videos dedicated to those celebrating Naw-Rúz.